In 1857, 13 stockholders invested $18,000 to form the Westford Glass Company—Ashford’s largest and most famous business enterprise. Located on Waterfall Road, the company made some of the most recognizable bottles, jars, and flasks of the era, and positioned itself to become part of a fledgling business that extended throughout a number of major cities in the Northeast. 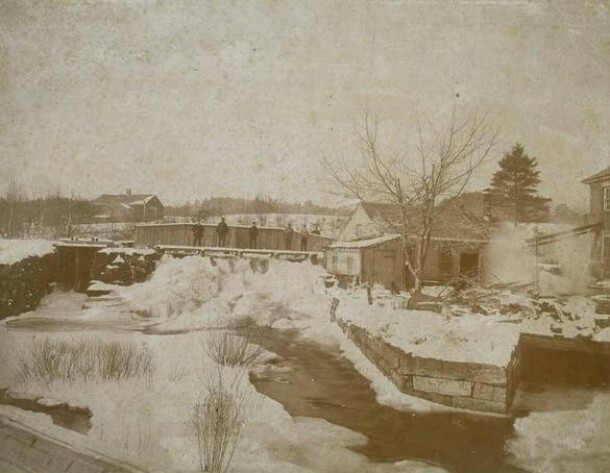 Local investors, including Thomas C. Cary, Dan Chaffee, and Edwin A. Buck, erected their glass factory in 1857 not far from that of a local competitor, the West Willington Glassworks. Interestingly enough, the two factories are said to have shared bottle molds with each other to help meet the demand for commercial glass containers in the mid-19th century. Westford Glass produced quart ink bottles, wine bottles, flasks from 1/2 pint to quart sizes, pint- and quart-size bottles for schnapps, handled jugs, and demijohns from 1/4-gallon to 5-gallon sizes. Their brown, orange, and olive coloring, and distinctive wheat symbols and “LIBERTY” markings, make them easily identifiable to antiques enthusiasts. 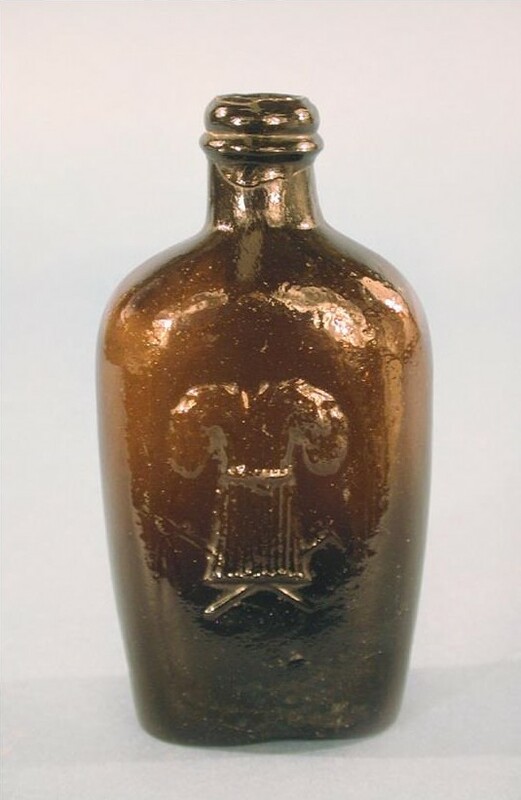 Many of Westford’s quart-sized molds made bottles containing the marketing slogan, the “TRAVELERS COMPANION.” In the mid-1860s, when the company had fallen onto hard times, one of its original investors, Edwin Augustus Buck, purchased Westford Glass and made it a part of his E.A. Buck & Company enterprise. Buck was born in Ashford in 1832. Early in his professional career he worked as teacher and public servant in town. In 1856, he opened the saw mill that eventually became the lumber and glass manufactory of E.A. Buck & Company. Working with two partners, Buck grew the business to such an extent that he was able to open selling houses for his products in both New York and Boston. The glassworks portion of the company closed, however, in 1873, and Buck retired the following year.